Will the Affordable Care Act goals be achieved? From theory to reality. The success of the Affordable Care Act (ACA) is dependent on whether it can achieve two potentially opposing goals: reducing costs while improving care. The ACA program works at two levels: the government program level and the health delivery level, in hospitals and clinics. 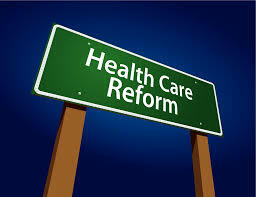 At the government level, the ACA aims to succeed with changes in (1) payment models and (2) Medicare services. Instead of paying for numbers of patients seen (as it has done), the government is shifting the model so that it pays health providers a bonus for keeping people healthy and for reducing their costs – or a penalty if they do not. With expected growth in the numbers of people covered by insurance, the government intends to reduce – drastically – what it pays through Medicaid, which has accounted for an increasing part of the government’s serious debt problem. The million-dollar question, (or this case a trillion-dollar question) is: what will happen when the rubber hits the road at the health delivery level given the shift in payment and incentives? Will hospitals cut staff to deal with the payment cuts, as they have in the past? Or will they actually have to expand to cover more newly insured patients? Early data are encouraging: many clinics (such as the one I work with in Petaluma, CA) are seeing their patient load increase by as much as 20% because of the newly insured. Can health institutions still do more with less, and provide quality? There are already promising results from states that were early adopters of the new payment models such as Texas and Massachusetts. But the big question is what will happen across the US in aggregate since states are responding very differently to how they adopt the ACA’s basic program tenets. ← Will “digital health” go big or small?…or German?